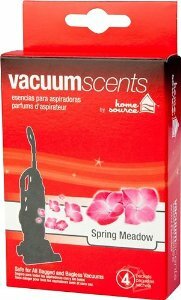 The Home Source Vacuum Scent - Spring Meadow - 4 Pack releases a light and refreshing aroma whenever you use your vacuum cleaner. 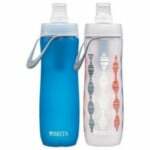 This vacuum deodorizer works simply and easily. Just drop the scent crystals into your vacuum bag or dustcup, and then vacuum normally. In order to achieve the proper fragrance levels, be sure to replace your vacuum scent crystals whenever emptying your dustbag or dustcup.